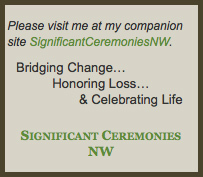 As a Seattle Wedding Officiant, Life-Cycle Celebrant and non-denominational Minister, collaborating with you to mark this milestone event in your lives with a personalized and memorable wedding ceremony is a truly rewarding experience for everyone! The love between you and your beloved has grown & flourished, and now you both are ready to publicly declare, among your family and friends, your commitment to each other! Proudly serving Diversity of Faith & Lifestyles! You’re probably familiar with the saying, “Variety is the spice of life.” I agree. An idea once relegated solely to Hawaii, everywhere we go now seems to be the “melting pot” of the world. So serving all equally and without judgement is my work–no matter your faith tradition or lack thereof, no matter your lifestyle, no matter your politics, no matter your color or ethnicity. My clients are Secular, Agnostic, Atheist, Buddhist, Christian, Hindu, Jewish, Muslim, Shinto, Wiccan, New Age, Old Age, Every Age! My clients’ ethnic backgrounds and lifestyles are indeed like the rainbow-multicolored and beautiful! 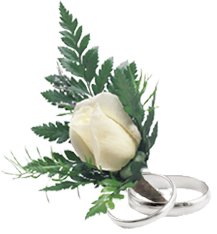 I am here to serve you both by designing and delivering a beautiful personalized ceremony that honors, celebrates, and reflects the spirit, character, and personality of your unique love story. This includes Weddings,Vow Renewals, and Elopements, and Senior Bonding Ceremonies. You’re invited to contact me by phone at 425.770.9243, complete the online contact form, or email me to schedule a free consultation. You can have your ceremony, your way, and I can help!